Synopsis: After finally meeting his elusive father, Marcus, and receiving the three gifts that confirm him as a full adult witch, Nathan is still on the run. He needs to find his friend Gabriel and rescue Annalise, now a prisoner of the powerful Black witch Mercury. Most of all he needs to learn how to control his Gift - a strange, wild new power that threatens to overwhelm him.Meanwhile, Soul O'Brien has seized control of the Council of White Witches and is expanding his war against Black witches into Europe. In response, an unprecedented alliance has formed between Black and White witches determined to resist him. Drawn into the rebellion by the enigmatic Black witch Van Dal, Nathan finds himself fighting alongside both old friends and old enemies. But can all the rebels be trusted, or is Nathan walking into a trap? The sequel to UKYA’s largest export in quite some time is finally here and with it, an audible sigh of relief! Starting off almost exactly where Half Bad finished, in a lovely alpine location somewhere in Europe, Nathan – having been endowed his three gifts by his Father – is waiting for Gabriel to find him. Except Gabriel got a little caught up and, well, can’t make the deadline. If it sounds like a slow start, that’s because it is; chapters are short but the first couple do drag a little too long and Nathan’s internal monologue is more annoying than sympathetic. Still, Half Wild is quickly on its feet after Nathan manages to reconvene with Gabriel, who’s being sort-of held captive by the ominously-named Victoria van Dal. Once Green is in the groove she doesn’t release her hold until the very end, when you’re left gasping and literally (actually literally) adrenaline-pumping. Annoyingly, Half Bad’s Achilles heel transfers over. Whilst many of Green’s supporting characters are superb (Nesbitt, van Dal’s lackey, is wonderful), Annalise is still woefully flat; literally a princess waiting to be rescued. She’s as dreary as a rainy day in February, and unless Green can pull some magnificent “surprised you!” stunt, it doesn’t look like this is going to change – sadly. Thankfully, though, she’s an isolated case; Gabriel only gets more lovable and the teasing affections between both him and Nathan make Half Wild one of the better books about a questioning character (that little Q character often tagged on the end of LGBTQ). In fact, Green seems to have unwittingly created the perfect platform for slashfiction, magnificently creating tension of a different sort when the plot elements are a little quieter. Half Bad marked Green out as a marvellous character writer, and Half Wild suggests no different: Annalise excluded, Green’s triumph is her ability to populate her novels with wonderfully convincing casts of characters, pin-pointing personality as adeptly as J.K. Rowling. There’s undoubtedly a lot to like about Half Wild. Now that Nathan has been given his three Gifts by his father, the narrative changes focus: the divide between the black and white witches. It’s an excellent shift, widening Nathan’s world and expanding the story to a larger, more global narrative of oppression. Seeds of tension planted in Half Bad are now coming to the fore as the white witches slowly begin to eradicate the largely peaceful, but wilder black witches. It’s this transition that means Half Wild is a successful sequel; suitably building on the foundations laid out and pushing Nathan’s story in new and exciting directions. Coupled with some excellent pacing, characters and writing, Green adeptly avoids sequel-syndrome and delivers a novel as good, if not better, than her début. 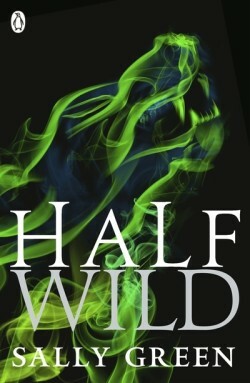 What did you think about Half Wild?